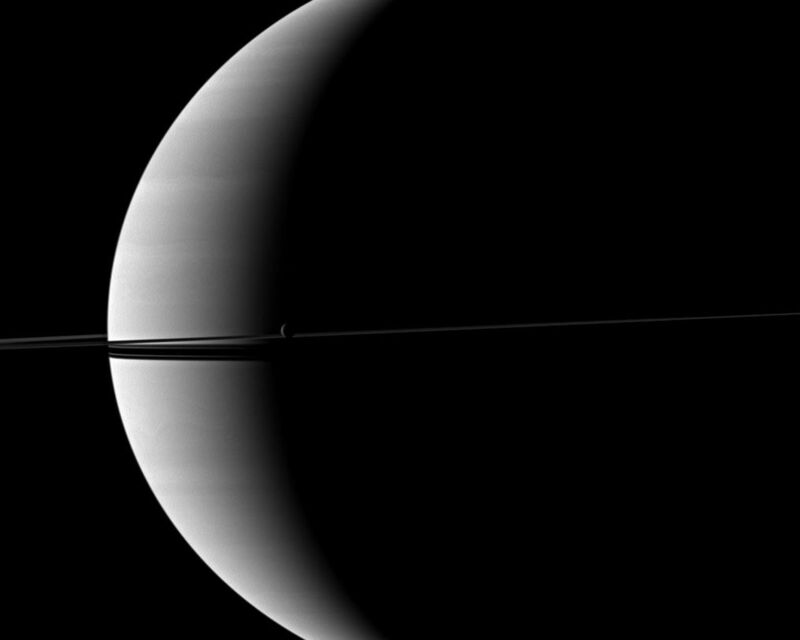 Saturn's rings and its moon Rhea are imaged before a crescent of the planet. 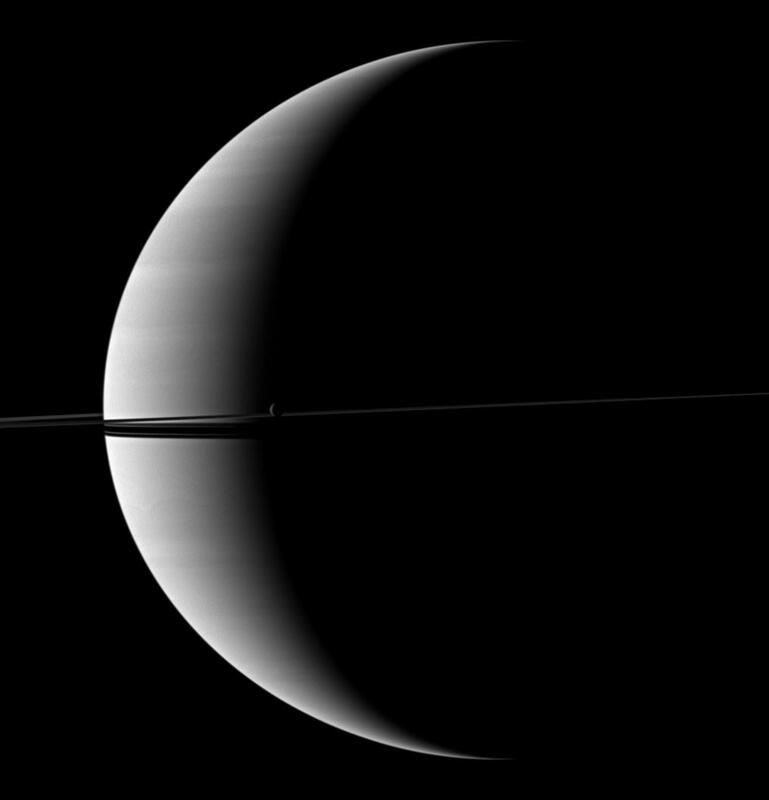 The shadows of the rings continue to grow wider after their disappearing act during the planet's August 2009 equinox. See PIA11667 for a view of Saturn with only a pencil-thin ring shadow. This view looks toward the northern, sunlit side of the rings from just above the ringplane. Rhea (1,528 kilometers, or 949 miles across) is near the center of the image. 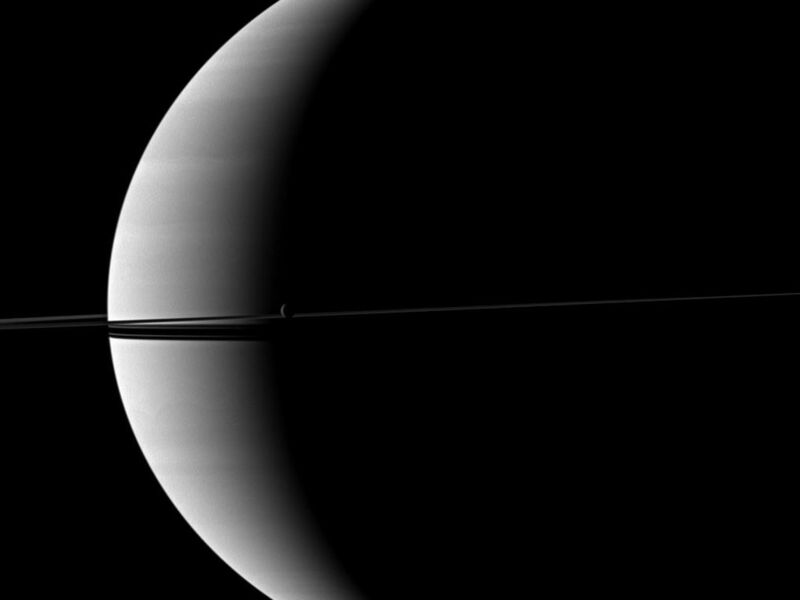 The image was taken in visible red light with the Cassini spacecraft wide-angle camera on Dec. 6, 2009. 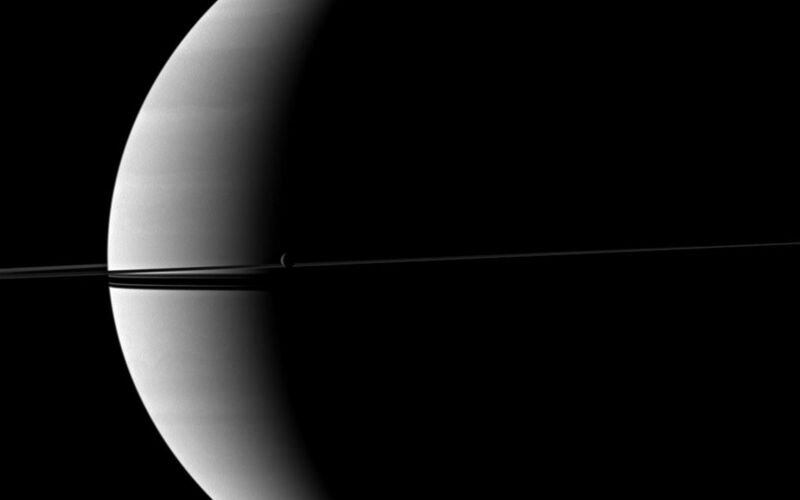 The view was acquired at a distance of approximately 1.9 million kilometers (1.2 million miles) from Saturn and at a Sun-Saturn-spacecraft, or phase, angle of 128 degrees. Image scale is 112 kilometers (70 miles) per pixel.